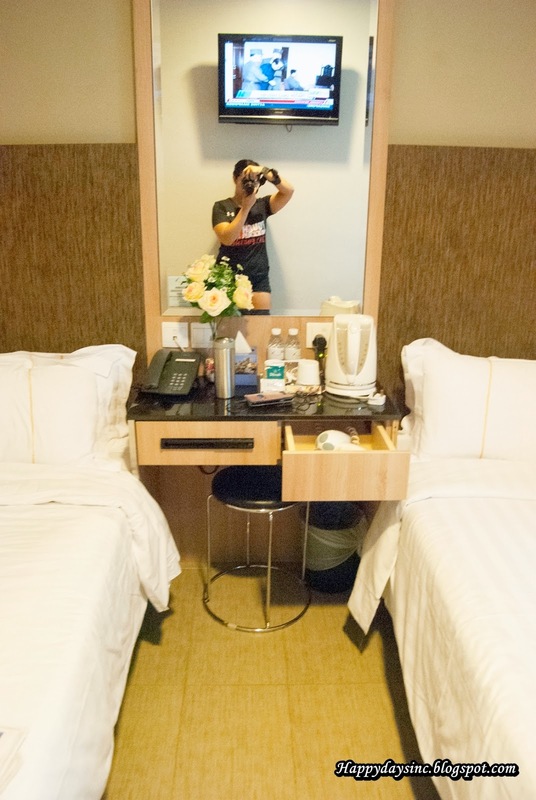 Finding a hotel in Singapore can be real head-scratcher as there are tons of hotels and hostels all over the city and are not as cheap as one would think. For my trip there in December 2013, after days of searching the web, decided to stay at Fragrance Hotel - Riverside in the Clarke Quay area. 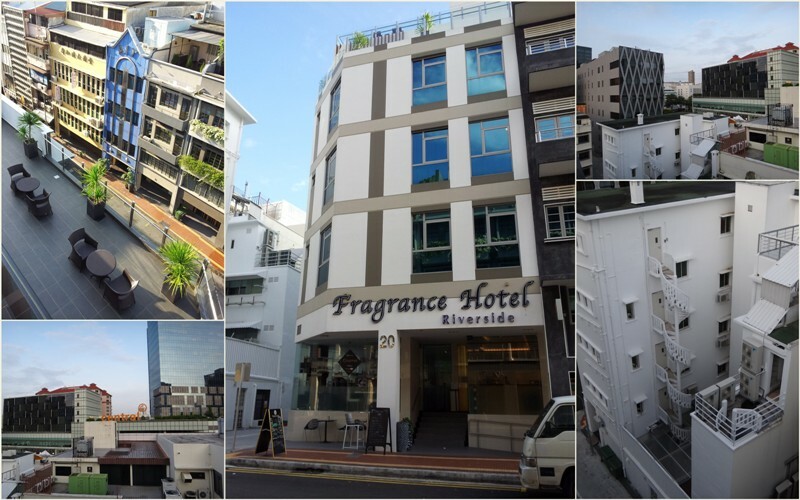 Location-wise, Fragrance Hotel Riverside was ideal as the Clarke Quay MRT was just across the main road under CQ Central shopping mall. It takes approximately 5 minutes to get there. 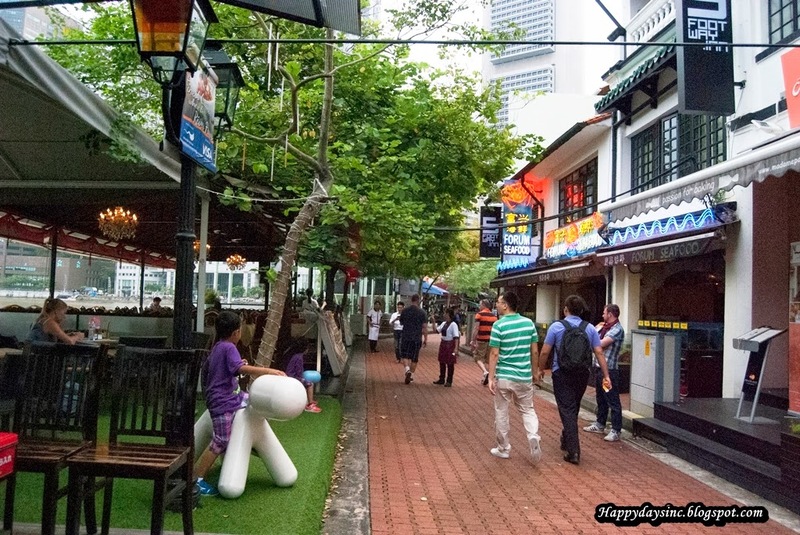 It is also a 10-15 minutes walk to main Clarke Quay riverside area, the center hub of pubs and restaurants facing the river with a view of Marina Bay Sands. This area also houses a couple of hostels with the risk of party noises at night. As for the hotel itself, the entrance is not immediately visible from the main road and is next to a 7-11 and a restaurant where the hotel breakfast is served in the morning. As soon as you enter the lobby, you will find that the hotel lives up to its name sake as the lobby has an overpowering artificial floral smell that made me want to sneeze something fierce. And it wasn't just the lobby as the hallways to the rooms had a similar smell. Then again, I have a rather sensitive nose especially to floral scents. Thankfully the rooms were scent-free or else I would have smouldered myself with my pillow. Check-in took about 15 minutes. My mom had booked a superior room (no window) from Agoda and even then, it was still pricy by my (Malaysian) standards at Rm780 for two nights in a three star hotel without breakfast. As soon as we were checked in, we headed up to our room and found to our surprise that the room wasn't even ready. The door was left open and the blankets and sheets were scattered on the floor. It seemed that housekeeping had slacked off at our room. Mumsy and I headed back to the reception and informed them of it. Immediately, the receptionist apologized and gave us a free upgrade to the deluxe room (with window). And up we went again and thankfully found the room ready and waiting. The room was small for a deluxe room but I suppose it was to be expected given the size of Singapore. There was barely enough room for us to put our things and move about. 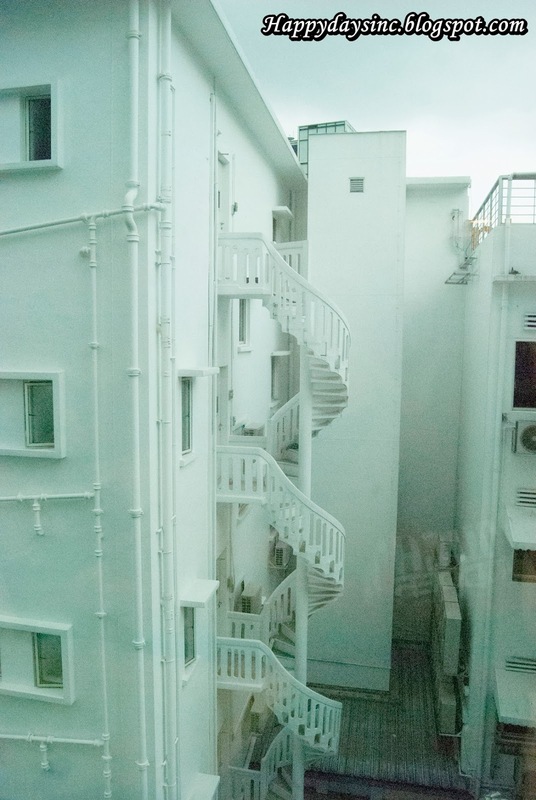 If you are claustrophobic, having a window helps although mine looked out into the alley beside the hotel and my mom made me draw the curtains close less someone in the building across peeped into our room. The room came with the basic amenities of coffee, tea, kettle, hairdryer and a television mounted on the wall in front of the double single beds. There was also complimentary water bottles. There was also a tiny cupboard for your clothes next to the bed closest to the toilet. The bathroom was literally a box with the shower, toilet, basin and door taking up all four corners of the room. It was so small that you could take your shower while doing your business on the throne. 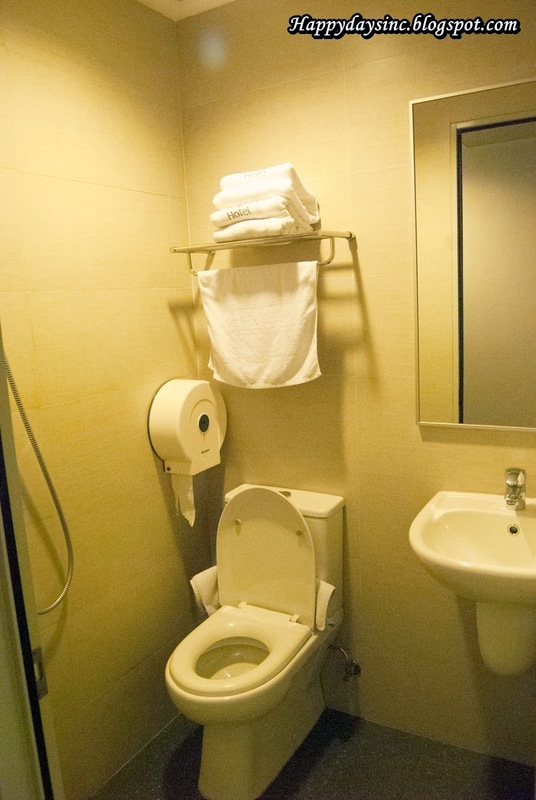 But apart from the size, the bathroom offers shampoo and body wash dispensers, towels and the usual toilet amenities. The hotel offers a outdoor roof swimming pool and a small fitness room on the top floor for guest usage. Wifi is also available and is charged either by the hour or by a room package. If you book via the Fragrance Hotel official website, wifi will be complimentary. 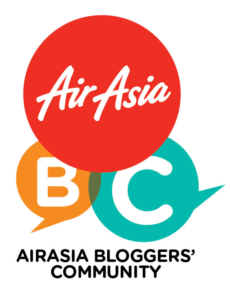 To get there, you can either opt to take the MRT from the airport or take a taxi or a shuttle bus which will cost approximately S$20 (one way) and S$9 (per person) respectively. This hotel is good for those looking for a place to put their luggage while they explore the city of Singapore by foot or on train. The rooms are cosy and comfortable enough for the occasional afternoon breaks. The 7-11 next door was convenient as it provides drinks and instant food as well as telco sim cards. For the best hotel rates, check out Agoda or Booking.com. Thanks, dude! Hope you would consider Fragrance for a hotel stay in Singapore.